UN-Water dedicated World Water Day 2010 to the theme of water quality, reflecting its importance alongside quantity of the resource in water management. In time of war the access to clean water is frequently restricted because water supply or purification systems have been destroyed, because water reserves are located in areas that have become dangerous or because of massive displacement. People ultimately resort to sources of water with a high health risk and many people contract water-borne diseases. So the ICRC called on governments to ensure safe water and decent sanitation for civilians in conflict zones. In many conflicts, disease kills more civilians than bullets. 2007’s theme highlighted the increasing significance of water scarcity worldwide and the need for increased integration and cooperation to ensure sustainable, efficient and equitable management of scarce water resources, both at international and local levels. The Severn Valley Railway line reopened 16th February 2013 and The first big event scheduled for 2013 is the The annual Severn Valley Railway Spring Steam Gala which takes place from 22nd March until the 24th March 2013. Ex GWR Collett designed 0-4-2 tank locomotive No. 1450.With auto trailer No. 238 ‘Chaffinch’ courtesy of Pull Push Limited and auto trailer No. 178 courtesy of GW Auto Carriers. Ex SR 4-6-2 unrebuilt West Country Pacific class locomotive No. 34007 ‘Wadebridge’.Courtesy of the Mid-Hants Railway. Ex BR 2-6-4 class 4 tank locomotive No. 80072. Courtesy of Llangollen Railway. Ex SR 0-6-0 USA tank locomotive No. 65, which is paying its first visit to the SVR! and replaces the Ex LMS 0-6-0 ‘Jinty’ tank locomotive No. 47298 which is currently having mechanical issues. The home fleet will be represented by . 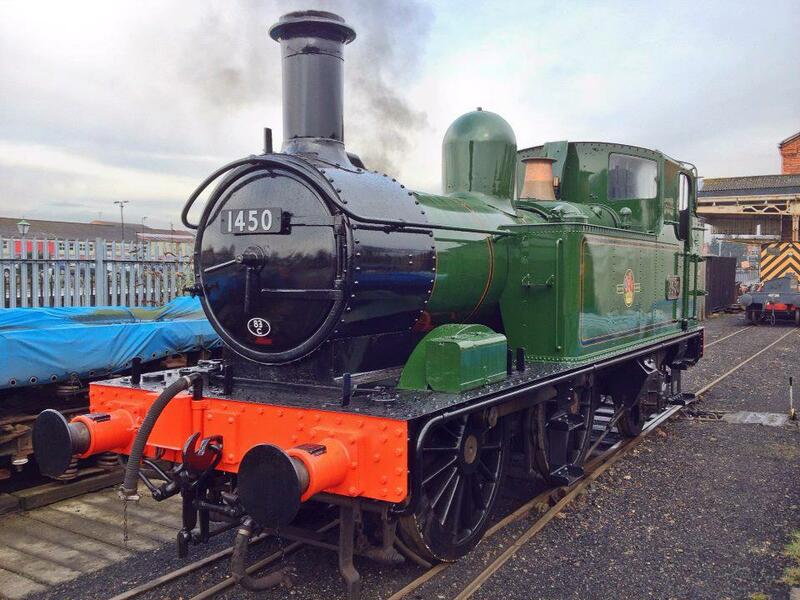 . .
GWR Large Prairie tank No. 5164.